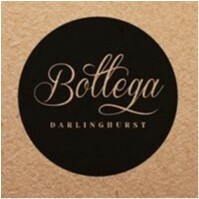 Bottega Darlinghurst joined our Mission to help provide access to “Clean Water for All by 2030”. This Mission was initiated by the United Nations. A big thank you to Bottega Darlinghurst’s team and customers for joining this extremely important mission on 13 February 2018. Claudio, Gennaro, Michela and Tommaso. All from Italy, three different regions: Campania, Tuscany and Sicily. Passion for coffee and food is our common ground. Bottega combines our food experience and different backgrounds. We strongly believe in a traditional cuisine with a modern twist. Italian born, Australian roasted. Seven origin blend, with beans coming from four different continents. Nice and creamy, low acidity, perfect for cow, soy and plant-based milks.